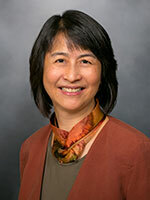 Tracy Lieu, MD, MPH, is Director of the Division of Research, Kaiser Permanente Northern California. She leads a group of 600 people who conduct studies in clinical effectiveness, delivery science, and epidemiology to enhance the health of Kaiser Permanente members and society at large. Her national roles have included membership on the U.S. Preventive Services Task Force and the Advisory Committee on Immunization Practices and the chair of the Health Services Organization and Delivery study section of the National Institutes of Health. Before this role, Dr. Lieu was a professor and the founding director of the Center for Child Health Care Studies in the Department of Population Medicine, Harvard Pilgrim Health Care Institute and Harvard Medical School. Dr. Lieu is a practicing pediatrician who has led nationally recognized work in vaccine safety and policy and childhood asthma. She completed education and training at the University of California campuses in San Francisco, Berkeley, and Los Angeles, and at the Children’s Hospital of Philadelphia. She was elected to the National Academy of Medicine for her research in decision sciences and economic evaluation. Email between patients and physicians has enhanced health care service but has made many primary care physicians feel overloaded. Many physicians multitask throughout the day by responding to email while seeing patients for in-person, telephone, and video visits. Many gaps in understanding exist about how to reduce stress associated with email in health care settings. The aims of this study are to 1) examine observed patterns of email management and multitasking based on computerized data, 2) describe the range of strategies physicians report using to manage email via a qualitative study, and 3) evaluate the extent to which email management patterns and strategies are associated with stress, as measured by self-report on a structured survey and heart-rate monitoring. This study's results will offer guidance on how physicians may reduce stress associated with email management. The findings will also inform the design of a future interventional study to facilitate effective email management. This network participates in PCORI's Clinical Data Research Network (CDRN) program to enhance the nation's capacity to conduct comparative effectiveness research by creating a national electronic data infrastructure. This program promotes the development of data networks and engages patients, clinicians, and health care systems in the research process. Kaiser Permanente's 7 regions have joined together with Group Health Cooperative, HealthPartners (Minnesota), and Denver Health to form the PORTAL Network. We are developing governance and data infrastructure approaches, conducting patient engagement activities, and developing innovative new methods to support patient engagement in research. Cohorts of patients that are formed around three conditions — colorectal cancer, congenital heart disease, and obesity — will be surveyed to establish priorities for patient-centered research. The Regional Data Infrastructure Support (RDIS) Budget covers the costs associated with a number of Virtual Data Warehouse (VDW) tasks, to be conducted under the direction of the CESR Data Coordinating Center (DCC) in the Northwest. Personalized medicine uses diagnostic tests to improve patient outcomes and reduce harms of therapy. This project's objective is to develop methods for optimizing the use of such tests using a multi-criteria decision analysis framework. Using breast cancer as the focal case, we will: Phase 1: Extend a multi-cohort population simulation model to compare several scenarios for the use of genomic testing for breast cancer recurrence risk; Phase 2: a) Use computerized data to analyze use of genomic testing in two large populations: Kaiser Permanente Northern California, and patients in Washington State's SEER; b) Draw a sample of oncologists and patients from these populations, and conduct structured surveys to measure perceptions and propensity to use genomic tests; Phase 3: Integrate data from phase 2 into the simulation model to compare: a) genomic testing based on clinical trial and guideline-recommended care vs. b) actual patterns of testing from the community populations. N Engl J Med. 2017 Feb 23;376(8):710-713. Pediatrics. 2015 Feb;135(2):280-9. Epub 2015-01-19. Med Care. 2007 Oct;45(10 Supl 2):S89-95. J Gen Intern Med. 2019 Jan 25. Breast Cancer Res Treat. 2018 Oct 10. J Clin Oncol. 2018 Jan 08:JCO2017745034. J Asthma. 2017 Jul 14:1-6. Health Qual Life Outcomes. 2017 Feb 16;15(1):38. Epub 2017-02-16. Vaccine. 2016 Dec 7;34(50):6123-6125. Epub 2016-11-3. Clin Pediatr (Phila). 2016 May 8. Am J Manag Care. 2016;22(5):e153-60. Epub 2016-05-01. J Oncol Pract. 2015 May;11(3):204-6. Clin Ther. 2015 Apr 25. Am J Epidemiol. 2015 Apr 15;181(8):608-18. Epub 2015-03-13. Clin Pediatr (Phila). 2015 Mar;54(3):236-43. Epub 2014-09-07. Ann Am Thorac Soc. 2015 Feb;12(2):161-6. PLoS ONE. 2014;9(12):e115553. Epub 2014-12-23. J Allergy Clin Immunol Pract. 2014 Sep-Oct;2(5):607-13. Epub 2014-07-25. N Engl J Med. 2014 Feb 6;370(6):503-12. Epub 2014-01-14. Vaccine. 2013 Dec 30;31 Suppl 10:K98-112. Am J Respir Crit Care Med. 2013 Nov;188(9):1076-82. Health Aff (Millwood). 2013 May;32(5):974-83. Epub 2013-04-17. Health Aff (Millwood). 2013 Jan;32(1):78-86. Health Aff (Millwood). 2012 Nov;31(11):2518-27. Am J Epidemiol. 2012 Jun 1;175(11):1100-9. Epub 2012 May 11. Pediatrics. 2011 May;127 Suppl 1:S45-53. Epub 2011 Apr 18. Vaccine. 2011 Apr 18;29(18):3398-412. Epub 2011 Mar 11. Am J Epidemiol. 2010 Jan 15;171(2):177-88. Epub 2009 Dec 4. Ann Allergy Asthma Immunol. 2004 Mar;92(3):319-28. Am J Manag Care. 2000 Jul;6(7):753-60. Pediatr Infect Dis J. 2000 Apr;19(4):354-5. Med Care Res Rev. 2000 Mar;57(1):92-109. Computer-based models to identify high-risk adults with asthma: is the glass half empty of half full? Health Serv Res. 1998 Oct;33(4 Pt 2):1041-58. Am J Respir Crit Care Med. 1998 Apr;157(4 Pt 1):1173-80. Pediatr Infect Dis J. 1998 Feb;17(2):120-5.